Speaking at the launching of "Chaachaa", a biography of the late Maoist leader Bhakti Prasad Pandey, Dahal and Bhattarai both expressed the need for unity and cooperation between the two. “Chaachaa (late Pandey) helped us (Bhattarai and Dahal) during the war and brought together even after his demise,” Dahal said at the function. Prime Minister Dahal said cooperation with Bhattarai is necessary also for the implementation of the new constitution. “The country's current circumstances demand that we should work unitedly for effective implementation of the constitution,” said Dahal. 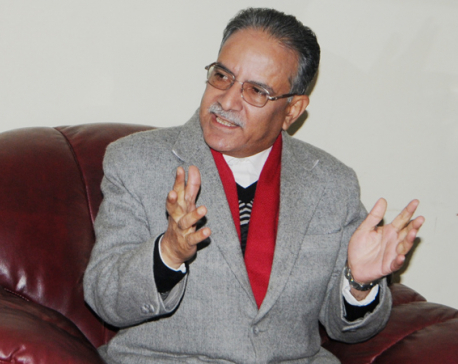 Dahal termed Bhattarai's past decision to quit the Maoist party as 'abnormal'. The prime minister was of the view that the division among Maoist forces has emboldened the regressive forces, who want a roll back of the federal democratic republic. 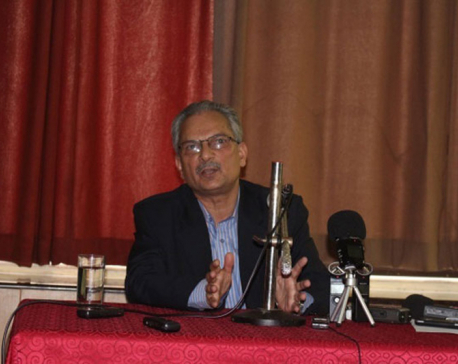 Speaking at the function prior to Dahal, Bhattarai said that he also wants unity with Dahal. “We both want unity and it can be possible in the future as well. But there is no point of unity while carrying the baggage of outdated Marxism and Maoism,” said Bhattarai. Recalling the late Pandey's suggestion that the Maoist leaders should remain united, Bhattarai urged Dahal to set aside the outdated communist dogma and focus on prosperity and development of the country. Pandey was lawmaker of the CPN (Maoist Center). “He helped the Maoist revolution by supplying weapons from India,” Maoist leader Dinanath Sharma praised his role in insurgency. Son of late Pandey Bishwadeep Pandey recalling the contribution of his father to Nepali politics, said that the Maoist revolution became successful because of the cooperation between Dahal and Bhattarai. 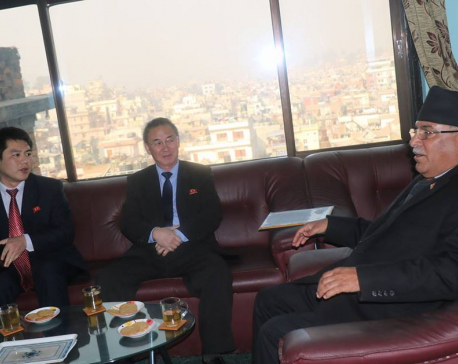 Dahal invited to N.Korea, envoy says "South and North Korea in favor of national unity"